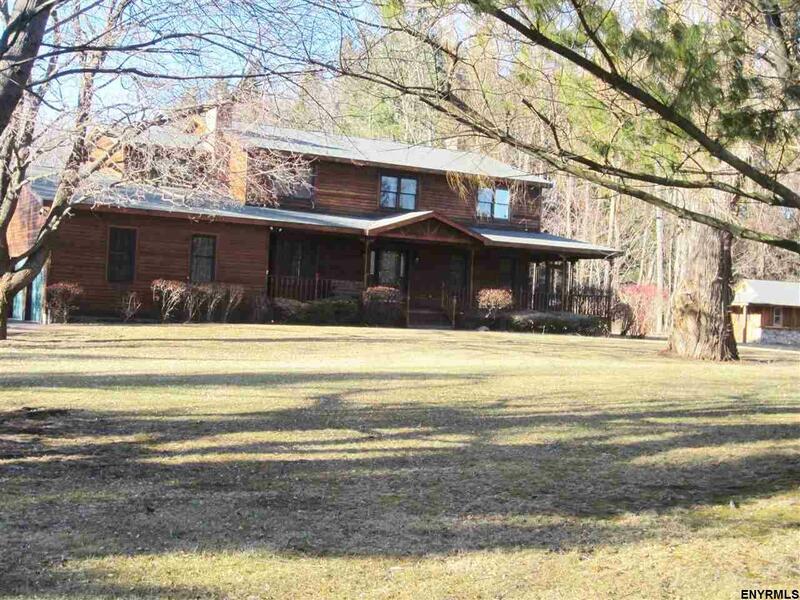 Upscale country living w/ 11 Acres. Huge open rooms, long 'Colonial' windows, exposed brick, beams, balconies & porches. Country kitchen w/ keeping room w/ FP, Jenn-air, 2 level island, shiny black appliances. Luxurious master suite w/ balcony & stunning bathroom, room sized walk-in closet w/ built-ins. Charming in-ground pool & patio. Bricked walkways. Tiled vaulted 3 season rm w/ wet bar. Huge finished basement w/ rec room, dance studio & weight room. Public water & sewer at street.5 min to I90.